Race writer - broadcaster Steve Byk launched DerbyTrail.com in 2003, where his feature writing, race previews and editorials began attracting a loyal following. 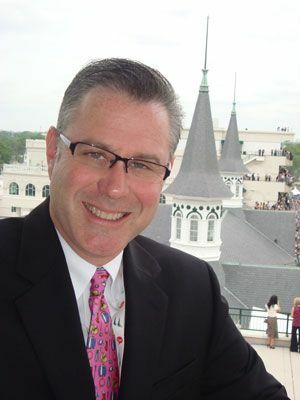 A contributor to The Blood-Horse since 2004, he joined 'At the Races and Beyond' on Sirius Satellite Radio in 2005, and began hosting 'At the Races with Steve Byk' in 2007. Trainers Chuck Simon, Gary Sciacca and Steve introduced Dee Tee Stables in 2006 as a way to bring fans into the game as owners at a minimal cost. For as little as $500, more than 125 stables partners have joined the racing club and have seen Dee Tee runners compete at Saratoga, Belmont, Aqueduct, Keeneland, Churchill Downs, Arlington, Turfway, Delaware, Tampa Bay Downs, Gulfstream and more as owners.